TOUCH OF CREATION: Seasons Givings Bloghop 2014!!!! Lovely card Piali! Happy new year! have a great year ahead..
Love your cheerful New year card! The colors are bright and happy. My crafty goal for 2014 is to grow in my craft. I've been stuck the last few years due to serious health issues. Then my Dad passed away on July 29, 2013 and life changed. Losing my Dad really made me see that "life is too short" is more than a handful of words. It's so true and we need to cherish every second. Happy New Year and blessings in 2014. I would love to challenge myself more with my creative ability for the new year!!! Lovely card! I loved your color choice! My goal for the new year is to create some scarpbook albums for my newborn daughter using MFT fabulous dies and stamps! Thanks for sharing your creativity. Love the countdown on your card. Fun! 1. Start a ladies craft group at church for our community to share some of the many things I have learned (and won) from the lovely craft blogs I follow. 2. Use more glitter. I have loved using it this Christmas season and want to find opportunities to use it all year round. How lovely of you to offer such wonderful blog candy. You did not try to twist our arms into becoming followers in order to be eligible, but I am a brand-new follower by Google Friend, nonetheless. I already follow you by email. Yippee!! Beautiful, colorful card. I live it. My goals for 2014 are to get into blogging to meet new friends, learn new techniques and create projects to be proud of! Such a cheerful card! Happy 2014! Love your New Year's card - so bright and vibrant. Wishing you a Happy New Year. Great card!! Goals- to stamp more, learn some new techniques and use stamps that I purchased in 2013 that haven't seen ink! Of course, get organized is always a Jan goal for me! What a gorgeous New Year's card - I love the colors - so perfect to welcome in 2014! My word/theme for this year is to CHALLENGE myself. By that, I plan to submit cards for publication and try out for Design Teams. I need to get myself out there and try new styles for cardmaking instead of being in my little zone all the time. Happy New Year to you and best wishes! My 2014 crafty goals are to finish PL and to craft MORE! One of my goals is to spend more time with my grandchildren making cards. Wishing you the best for health and happiness in the New Year! Thanks for an opportunity to win your great prize package. This is so super cute, love the new years! Thanks for the chance to win and yes, I am a long time follower. Cute project, Happy New Year! Also, could you update my blog link to http://bethpingry.com - thanks! My crafting goals are to finish all the projects I started in 2013. Also to make some of those fun DIY home decor projects I keep pinning on pinterest! Let's see, crafty goals....my Blog is less than a year old, I hope to post more and maybe add a Technique Tuesday or something like that. Happy New year! My goal is just to try to keep my space clean! Happy New Year! Fun giveaway - and AWESOME card! LOVE the colors! Happy New Year!!! Love all of your stuff Piali! What a fun prize pack! My goal for 2014 is to make more time to spend in my craft room. Wishing you all a happy new year of crafting fun! Thanks for the chance to win this great giveaway! Really CUTE New Year card!! Thanks for this FUN and INSPIRATIONAL blog hop!! I have been having so much FUN!! Happy New Year ! My crafty goal is to actually work through so many of the amazing tutorials I am taken with in 2014 and challenge myself with new techniques and different types of media. Love your creativity - your art is beautiful! My goal is to keep improving, try new techniques that I see on all of the blogs, and enjoy what I do. I love your card. It is such a happy card. thanks for sharing. My crafty goals are to keep my pop up blog current and incorporate the things I have been learning into my designs. Happy New Year! Fun card! Happy New Year! so not goal oriented..want to do what I want when I want!! Very festive and fun New Years card. My crafty goal is to complete unfinished projects and send cards to OWH. Lovely card. My goal for 2014 is to become more organized. I would love to know where all my supplies are. Thanks for a chance to win. The Blog Hop is a wonderful idea. Your New Years card is so cute. Your giveaway is amazing and thank you for the chance to win. My crafty goal is to utilize my stamps more. Happy new year! I love your blog. Thank you for all the inspiration this past year. Happy 2014! Lovely card. Happy New Year. Love the CAS card, I plan to make more cards this year, as life has been so busy. My 2014 craft goal is to make more time to craft/make cards. 2013 I was only able to make a few birthday cards in a rush. I need to make time to enjoy and explore my love of card making. Hope you have a happy new year. Thank you for a chance to win. Thanks for the chance to win. My goal is to make cards for Operation Write Home. continue organizing my craft world and learn how to use my new toys. happy 2014 and thanks for participating in the hop. Fun card. Happy New Year and thank you for the chance to win. I would like to have a good variety of cards in my stash so I am not scrambling for that one card I did not have on hand. Wishing you a healthy and happy New Year! jeandonny2000 at hotmail dot com. I love your New Year card. My goal is to do 2 cards a week minimum for 2014. Hi Piali! Great New Year's card- I am loving that stamp set; the countdown stamp is so fun. My crafty goal this year is to be more of an encourager to others. Happy New Year! Beautiful card. My goal for 2014 is to improve - learn new techniques and step outside the box. A great card, I love the design. I look forward to following your blog in 2014. Happy New Year! I love your fabulous New Years card! Perfecto! Crafty goals..organize! And start my own blog! Thanks for all the inspiration! I want to learn how to make things with felt! My crafty goal is to get to the organizing of the crafty goodies I've put off. Crafty goal? To make AT LEAST 5 cards every month :D! My goals are to finish what I start!!! Lovely and cheerful New Years card!! Happy New Year!! My goal is pretty much to be productive. I had to take a break when I had to go back to school; with work and family it was too much. Now, school is done and my daughter is 8 years old and we are ready for some mother-daughter time scrapbooking and card making. Thanks so much for a chance to win such awesome products. Have a happy, healthy and blessed year! Gorgeous card. Thanks for a chance to win. Happy New Year! My goal is to craft more for fun than meeting deadlines! Thanks for the chance to win! Very festive card! I want to be more organized this new year. I love the bright and happy new years card! thanks for being part of the hop! Beautiful card!! One of my crafty goals is to scrapbook at least 1 layout a week...Thanks for the chance....Happy New Year! My goal is to keep my stamping room more organized. Colorful card! My goal is to focus on my family...with the help of my camera! ;) Thanks for the chance to win such a great prize pack! This is a cute card. I love the count down running down the side like that. It's a cheerful card to bring in the New Year. Thanks for a chance to win blog candy. What a simply lovely card! Thank you for the chance to win you're generous give away. Happy New Year! I just became your newest follower. I'm so glad I happened to come across this blog hop. It's been amazing! Love your card is so fun! Specially love the countdown along the right hand side. I love your card. So beautiful! As for my 2014 goals, it is to make more cards for the soldiers and send them through Operation Write Home. I got behind last year and did not do as many as I wished. You have a great year too. My crafty goal for 2014 is to not miss any of my relative's birthdays with a homemade card! I make cards and sell them...and am so terrible at mailing them out! I resolve to show the ones I love how much I love them this year! Thank you for a chance to win. I'm eager to try some gelatos! Thanks for chance to win. Love seeing others cards and getting inspired to increase my craft time. Love your card, especially the countdown along the edge. I like all the bright colors! Thanks for the chance to win. I'm committed to cleaning/organizing and keeping my craftroom clean and organized. Yeah!!! Another great year of crafting!!!! Thank you for the give away!!! My goal: craft more! Your card is so cute, looks like little "jacks". My crafty goal is to make more cards! I love the countdown on the side of your new year card!!!! I would like to craft more consistently this year! Thanks for the opportunity to win!! Happy New Year!!!! Happy New Year! 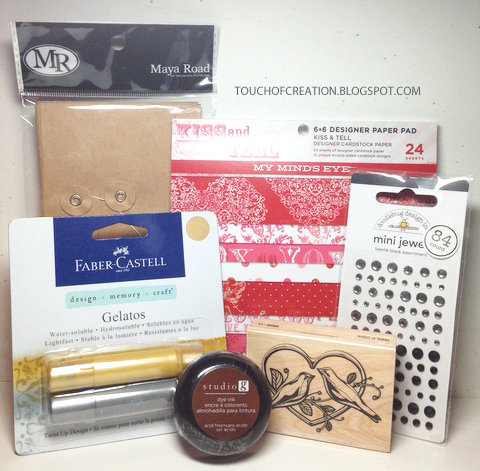 My crafty goals for 2014 is to organize my stamp sets and dies and make more cards. Thanks for a chance to win some great prizes. Happy New Year!! Great prize package! It's been so much fun hopping through all the blogs. Thanks for sharing!! You are all such talented ladies!!! My crafty goal for the new year is to make more use of all my stamps. Lovely card, thanks for the chance to win your prize package. My crafty goal and my goal in general is to be much more organized this year! Happy New Year and thanks for the chance to win a great prize! I hope to improve in my card execution. 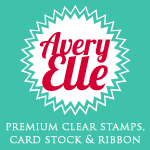 Love your card :) My crafty goals include organizing my stash and making more cards! Love your prize package. Happy New Year! Love your fun and cheery card! My crafty goal for 2014 is to get more layouts done! I have been sadly neglecting my scrapping after a tough 2013 but want to get back on track again! Thanks for your giveaway! My goal is to get AHEAD on my projects!!!! Juggling family, work and crafty deadlines, I seem to fall behind! I want to have more margin in 2014!!! Gorgeous card!!!! Thanks for the fun giveaway! HAPPY NEW YEAR! My goal is to MAKE more time for crafting. Happy New Year and my this year be better than last. I have a goal to step it up in my cards and scrapbooking. Happy New Year! Thank you for the opportunity win the box of craft goodies. Wishing you all the best in 2014. Love the card! My goal is to get projects finished in a timely manner and not rushing at the last minute! Cute and simple card. My crafty goal for 2014 is to make more of the items I want to make rather than items for everyone else. Thanks for the chance to win. Beautiful card and wish you a very happy new year. Thanks for the chance to win. I love your fun colourful card! Happy New Year to you too! My crafty goal this year is to get clean up my work space (naturally) by challenging myself to use the bits and pieces I just can't seem to toss! I was peeking around your blog already....I always worry about using the wood embellishments in the mail...I noticed you have them on some Christmas cards..any issues? New follower but enjoy your work already! Me + crafting + 2014 = more organized..I already started and more mini albums I always seem to get pulled away from getting them done. My crafty goal is to organize my craft room and learn some new card making techniques. I follow you with bloglovin'. I have enjoyed this blog hop more than any other. I have met so many new bloggers this way. My crafty goal(s) for 2014 is to make at least 3 mini albums. My next goal is to have plenty of cards for birthdays, sympathy, and get well, to avoid any emergency card making episodes. Thanks for the opportunity to win a giveaway. Super simple and lovely card! One of my 2014 goals is to start some kind of Project Life album. I also want to host a few crafting days for friends to introduce them to cardmaking...trying to bring back the art of a handmade (and handwritten) gift! I just love your work and your generosity! Happy 2014! As for my crafting resolution, I want to find my inner creativity and style! This is so fun! I love the count down on the side! Great card! Happy New Year and thanks for the giveaway! My crafty goal for 2014 is to make some cards to have on hand for different occasions. Seems every time I need a card, I have to make one last-minute! Thank you for the chance to win! Fun card!! My goal is unfortunately a practical one...declutter! Thanks for a chance to win! Happy New Year. My goals are to combine challenges on cards and to use neglected stuff! Super cute card!! My goals are to keep organized & try new techniques!! My goal is to use my time wisely when I craft. Translation: stop agonizing over teeny tiny imperfections then not sending the card because it wasn't good enough. I have to remind myself that I make cards to encourage, not to impress. btw, you are always impressing me. Thanks for sharing. Love your cards! My goal this year is simply more time to work with my paper crafts! I have been the primary caregiver for my grandmother for three years (she passed away in August at 98!) 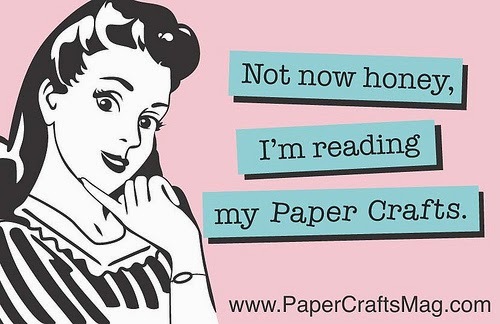 and I have been very limited in the amount of time for crafting. I look forward to 2014 for more ME time. Your new year card is fantastic! The bright colors of the firework are so an eye-catching! I'm your 744 follower! Thanks for the chance! I love your card because it is "Clean and Simple". 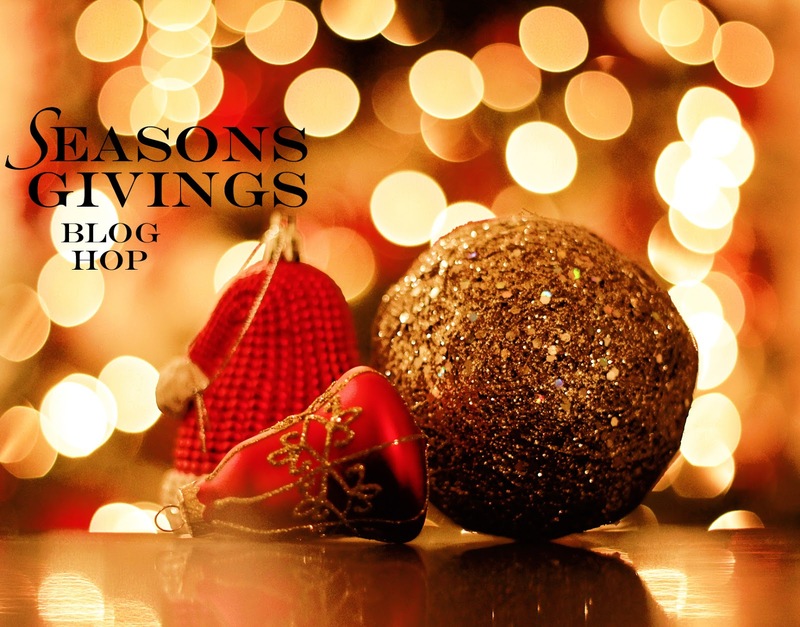 Thanks for sharing and participating in this year's blog hop. May you have continued success in 2014.
cute card, love the paint spatters! Love the hop and the inspiration, thanks for the chance to win! 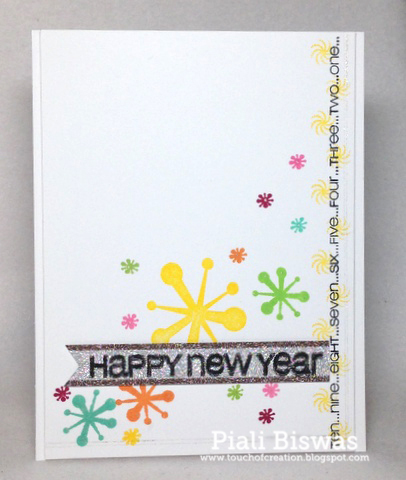 Fun New Year's Card, Piali! Love the count down as a border on the side! I ALWAYS love your work, Piali! My crafty goals this year are to learn how to use the nice sewing machine sitting next to me from my grandmother, and to start making crafting videos or my blog! Thank you for the great inspiration, and the chance to win a wonderful prize package; Happy 2014 to you! Thanks for the wonderful giveaway and for participating is such an amazing hop! Thank you for sharing your creations with us! Happy New Year! What a fun card! Just wanted to stop by and wish you a Happy New Year! Glad to have you on the hop! This is fabulous and fun blog hop! Thanks for your giveaway! 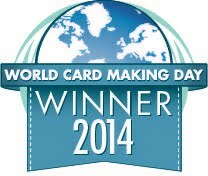 I'd like to sell my cards in 2014. My 2014 crafty goal is to avoid being last minute with my projects. I want to have them prepared in plenty of time so that I have no stress. Beautiful card! To participate in more challenges and ink up my 'un-inked' stamps. Happy New Year! Thanks for the chance to win. I LOVE that paper in your giveaway. 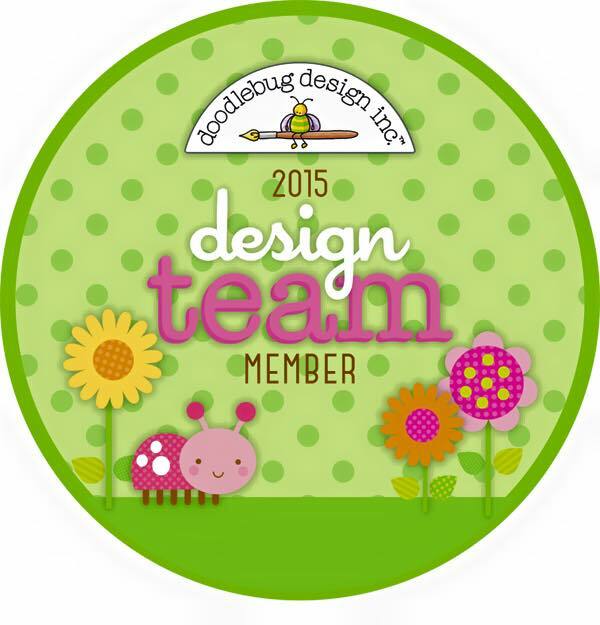 My crafty goals including creating for my blog at least 4 days a week and getting on one or two more design teams. my crafty goal is to create mini album using the mountain high of patterned papers I hoarded since 3 years ago. My goal is to craft more. My crafting has taken a hit with my 1 year old granddaughter living here ;) Love her, but I need to make stuff too! Thanks for the chance to win! Love your countdown on the side of the card! Love your card! I just plan on being more crafty this year! Thanks for the chance to win! Always love your creations Piali. Just want to say Happy New Year! Hope to create more. Great blog hop. Thanks for the giveaway! goal: to spend more time being creative with my friends and blessing others with my creations. Thanks so much for participating in the blog hop. It is so much fun. Everyone is so talented and I appreciate the sharing of all the creative people. God bless..